In designing this family of lamps, Marta Laudani and Marco Romanelli recover natural elements and 1970-style recollections making them the focal point of the project: the lamp becomes the archetype of a flower, with a central core and radiating petals. The single element, a transparent blown glass cylinder that contains the source of light, is joined to a metal body to form several combinations, creating, in fact, a stylised flower. In the wall/ceiling version, Fiore is available with 7 luminaires, 3 luminaires – in the linear and triangular variations – and with only one luminaire, creating geometric or decorative motifs on the domestic surfaces. 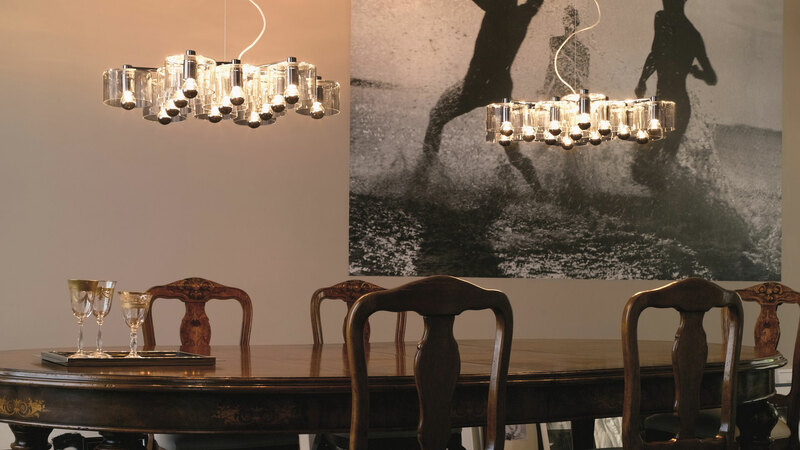 Instead, in the suspension version of the lamp, Fiore twirls free, with a combination of either 13 or 7 luminaires – according to the variation chosen. 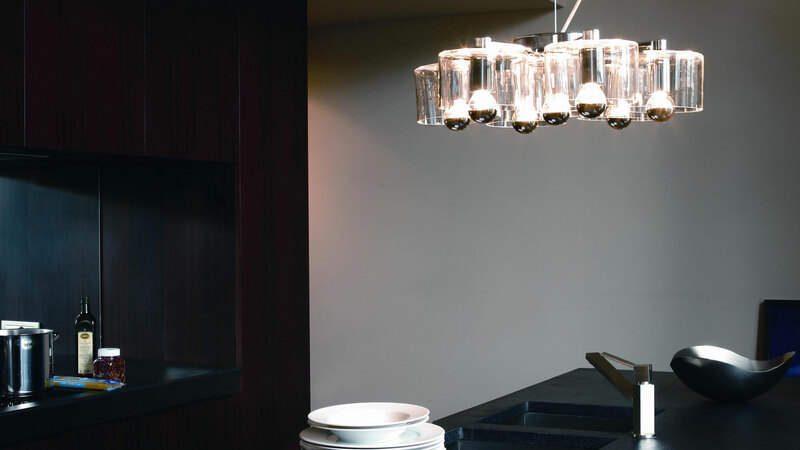 Suspension lamp in transparent blown glass giving direct and diffused light. Chromium-plated metal structure with 7 lights.